Sony’s Xperia smartphones have always been well accepted among Indian consumers. Sony is now planning to increase its Xperia product line-up and the company is currently in process of bringing its new Xperia device in the market, which will be Sony Xperia X Ultra. You might have heard about the smartphone earlier as it has been a buzz on the Internet since a long time. The recent leaks of Sony Xperia X Ultra show that the upcoming smartphone will have a 6.45-inch-ultra-wide display, which will be similar to that of LG G6 and Samsung Galaxy S8, S8+. The smartphone will have smaller bezels at the edges but might have a wider bezel at the top so as to fit in the Sony’s brand logo. 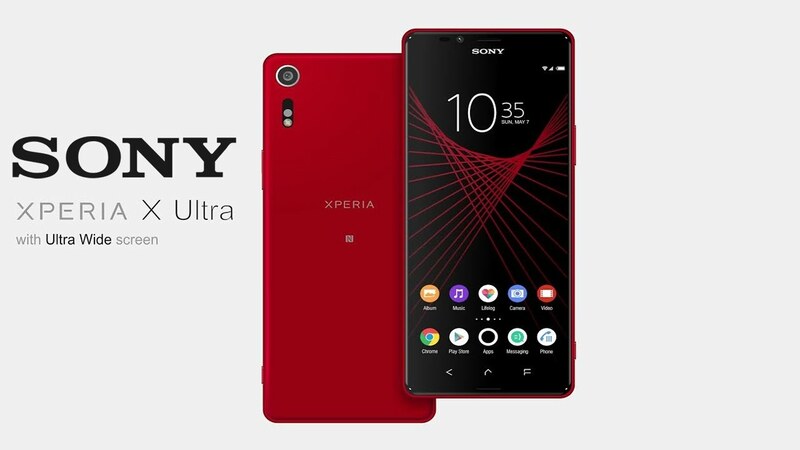 Sony Xperia U Ultra will flaunt might show you various colors like red and grey. Talking about the camera, the Sony Xperia will have a 19- megapixel primary camera and 13- megapixel selfie camera. Further, the smartphone will be powered by a Snapdragon 660 processor paired with 4GB of RAM. It will be backed by a 3,050mAh battery. The touting feature of the Sony Xperia U Ultra is that it is dust and water resistant. It will come with IP68 certification. Let’s throw a light on Sony Xperia U Ultra’s features and specifications.